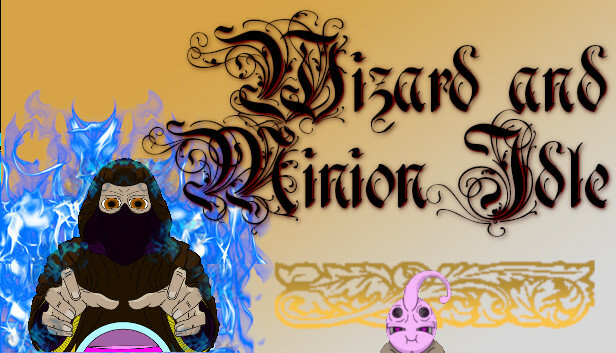 Wizard And Minion Idle is the newest free-to-play Idle Game to hit the market. 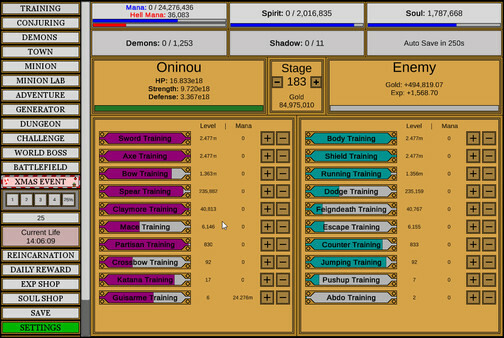 With ever expanding limits according to your play style, the game allows you to dictate your own unique style of play. 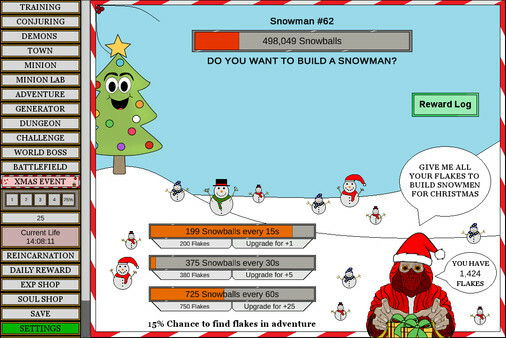 With challenges rising exponentially in both difficulty and reward, the user's style of play will influence how this game unfolds. No two people will make the same decisions, and no two users will have the same progression pace. It pays to grind, but sometimes it's easier to relax and just watch the rewards trickle in at your leisure. With additional games inside the actual game itself, there are plenty of reasons to invoke the age-old mantra of, "...just a little further". -Five Distinct Tiers of Loot! 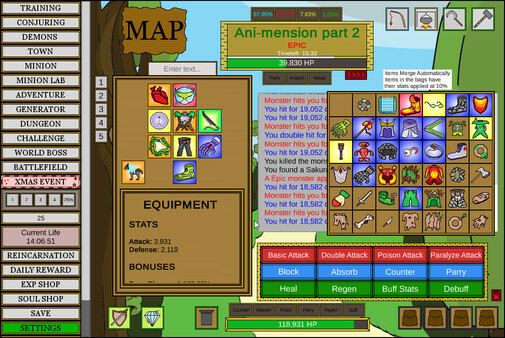 -Exit through the Soul and EXP shop, to spend your deserved rewards and become stronger. Through this cycle you will grow and a Champion shall rise! You start the game off a fresh initiate just beginning to realize your true potential. You're a wizard Steam player. In WAMI you will build your physical and sorcerous powers, weave game altering spells, and defeat fearsome enemies. Nourish your minion well, for your paths are intertwined. Your works in the mystic world will attract the attention of demons. 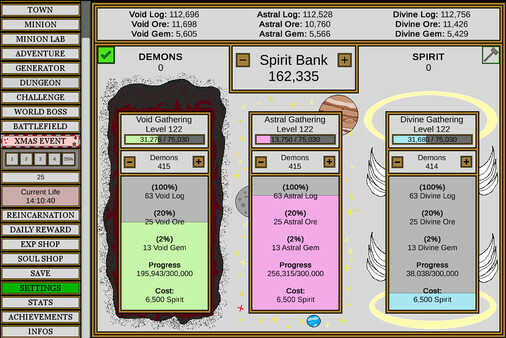 Assign these demons based on your current in-game needs; Power, gold, magic and more. An intuitive gathering and crafting system allows you to further customize your wizard for the challenges ahead; with five different quality level of items available and a truly innovative inventory design, the possibilities are near endless! Rent structures, build golden plazas, drink from powerful elixirs to help you tarry on when sight of the goal is lost. 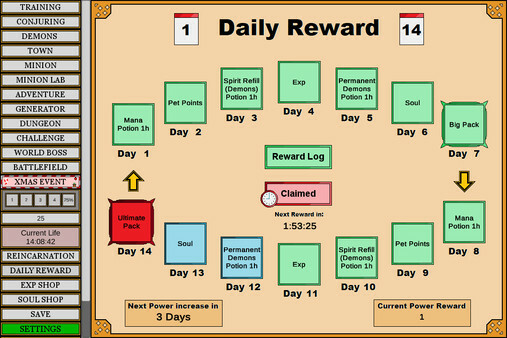 Harvest experience points and soul shards to upgrade your wizard, allowing you to become the stuff of legends. You will come back to the world of WAMI again and again to complete regularly updated challenges and events for days and weeks to come! All is fair in love and war, So assign your legions of demons to all out warfare, or have them, well....attempt....to reproduce in order to gather the kinetic spirit needed to generate more power! 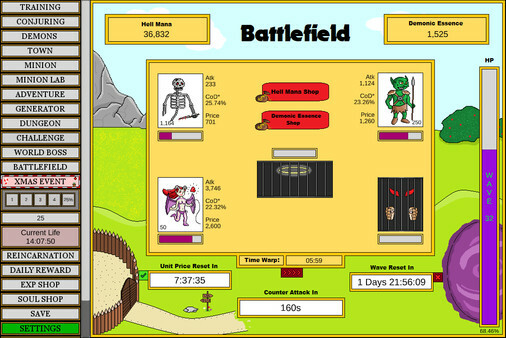 This free to play Idle/active hybrid game has flexible pacing and a level of depth that will have you at wits end to push your limits to make it to the next level. Game-play and complexity unfolds at your level of play-style however, so you will never feel overwhelmed.